Indulge in the refreshingly beautiful aroma of strawberries! Sugar Plum Soap Co. 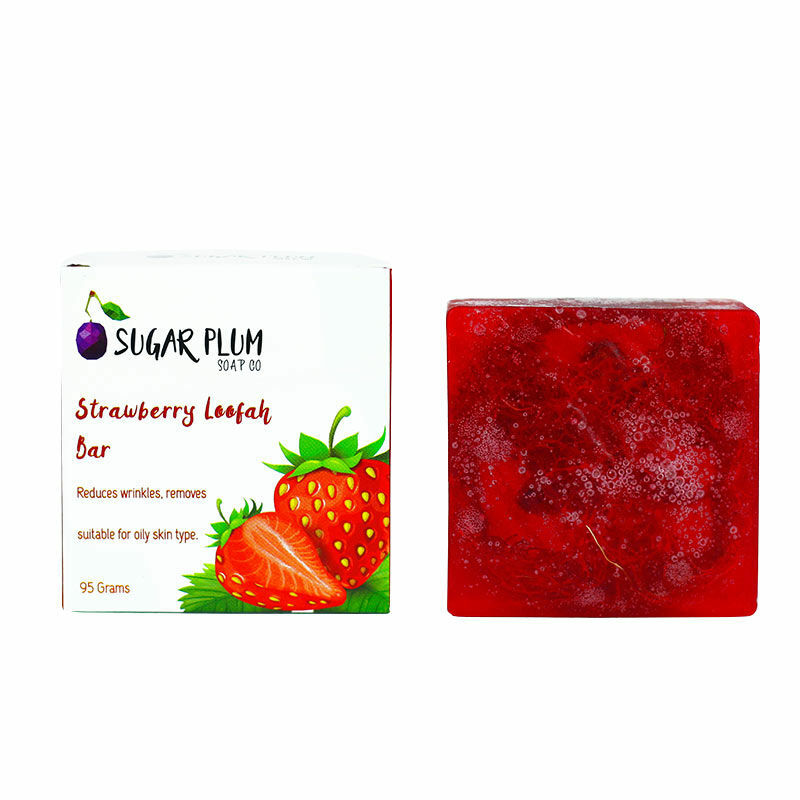 Strawberry Loofah Bar combines the exceptional skin care benefits of natural loofah, aloe vera and vitamin E to give you a beautiful skin nourishing soap that will leave your skin soft, smooth and supple. This soap fades signs of ageing such as wrinkles and fine lines. Natural loofah in it works as an exfoliator and keeps the skin free of dead skin cells and dark spots. This beautifully scented soap will keep you fresh and rejuvenated all day long.